Services | Jeff Ellis & Associates, Inc. Focused on Safety, Health, Training & Education. Ellis & Associates, Inc. offers a wide variety of services for the aquatic industry with a focus on managing risk and providing a safe and fun experience for all parties. If you're looking for certified lifeguard training, aquatic safety and health, or looking for staff education, you're in the right place. Our services are used and recognized by the largest waterparks and recreational aquatic venues worldwide. 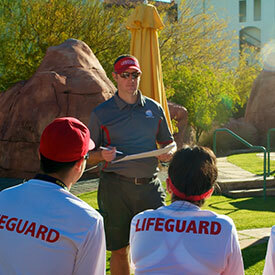 Over the years, we have built upon the implementation of this training and, using International Lifeguard Training Program® as a foundation, developed the Comprehensive Aquatic Risk Management Program™. The CARMP™ is Ellis & Associates’ flagship program, providing full-service aquatic safety and risk management consultation that goes well beyond simple “lifeguard training”. View all of our Risk Management based Training Programs now. Whether you are looking for emergency care training for yourself, your staff, or even your family, we have an option that will satisfy your needs. Large group or small; at your location or elsewhere; conducted by your own instructors or our instructors, we provide convenient and affordable training options to meet all your needs. All of our Safety & Health programs meet the most current International Liaison Committee on Resuscitation (ILCOR) Guidelines, as well as the OSHA First Aid Standard 29 CFR 1910.151, and can be used, not only a means to ensure the quality training your staff receives, but also as a revenue generator or community outreach program. Our learn-to-swim program, Jeff Ellis Swimming (JES), has been going strong for more than 15 years, providing a high-quality, fun, engaging way for aquatic facility operators to provide local community swim lessons. 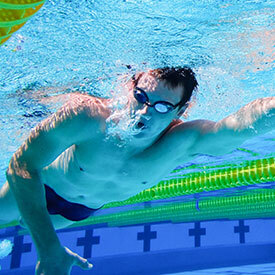 We also offer program coordinators training, certified to lead the JES program at your local aquatic facility. For more than thirty years, E&A has provided award-winning Aquatic Operations Education and Training Programs, certification programs and risk management services to its clients around the world. Its new partnership with IACET is a demonstration of its commitment to lifelong learning and the highest standards in Lifeguarding and Aquatic Facility Leadership. Ellis & Associates joins an elite group of member firms that offer high-caliber continuing education and training programs as an Authorized Provider of IACET CEUs.